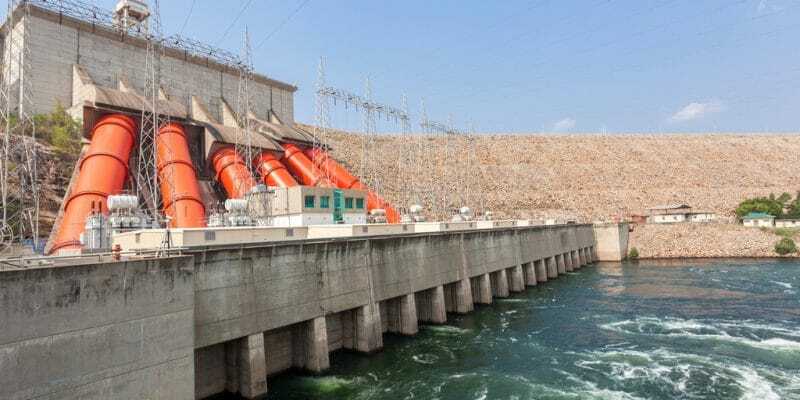 The Chinese company Sinohydro has just been appointed by the Organisation for the Valorisation of the Senegal River (OMVS) to implement the Koukoutamba hydroelectric project in the department of Tougué, in northern Guinea. The dam will provide 294 MW to the network of member countries of this sub-regional organisation. The Organisation for the Development of the Senegal River (OMVS) was created for the coordinated management of the Senegal River, which originates in Guinea, flows through Mauritania, Mali and Senegal before flowing into the Atlantic Ocean. It has thus carried out several irrigation, drinking water and environmental protection projects around the river. Today the priority is on energy with the Koukoutamba hydroelectric development, located in Guinea, in the Labé region, district of Tougué. OMVS has appointed the Chinese company Sinohydro to implement the project. This choice was recently formalised with the signing of the commercial contract between Hamed Diane Séméga, the OMVS’s High Commissioner, and Ding Zhenguo, the CEO of Sinohydro. The ceremony was held in the presence of the Guinean Head of State, Alpha Condé, in Conakry. The infrastructure of the Koukoutamba hydroelectric project will be built in the Bafing River Valley, about 7.5 km upstream of its confluence. Koukoutamba being a tributary of the Senegal River despite the presence of the national park of the Middle-Bafing, located not far from there, which is one of the last remaining protective areas for West African chimpanzees, a primate species in danger of extinction…. Sinohydro engineers are expected to build an 87 m high dam with a ridge length of 1.3 km. This infrastructure will make it possible to capture an average retention slope of 546.5 m, or a retention capacity of 3,600 hm3. The water from the dam will then run four generators of a power plant that will be built nearby, with a flow rate of 448 m3/s. All the infrastructure will produce 294 MW. Thanks to two 225 kV high-voltage lines, this energy will be transmitted over 600 km between Guinea and Senegal, i.e. following the route set by OMVS, namely: Linsan-Labé Mali-Sambangalou-Kédougou-Tambakounda-Kaolack. To facilitate access to the site, a 150 km paved road should also be built. OMVS will sell Koukoutamba’s electricity to the National Electricity Corporation of Senegal (Senelec), Electricité de Guinée (EDG), the Mauritanian Electricity Corporation (Somelec), Energie du Mali (EDM). According to Bouya Condé, the project manager, the works could start “before the end of the first half of 2019” and be completed in 4 years. They will require an investment of $812 million. The financing will be provided through a loan from Exim Bank of China.